Partnership in business is a marriage of thoughts, which delivers offspring that have the ability to awe. When Google partnered with original equipment manufacturers (OEMs) in the mobile business, the result was the Nexus range, which in its sixth series has been stamped with the approvals of the meanest critics, too. Apple, on the other hand is believed to be a bachelor, though its offspring comes from its own ingenuity. The iPhone was one among the many of its creations. And it just proves that partnerships are not always necessary to create progenies who have the potential to keep the delight of wonder among millions around the world. Here are ten differences between Apple’s iPhone 6 and that of the Motorola-Google partnership, Nexus 6. With an Apple A8 64-bit Processor, iOS 8 operating system, 4.7-inch display, resolution of 1334 x 750, and pixel density of 326 pixels per inch along with options of 16 GB/64 GB/128 GB storage, the iPhone 6 definitely gives an apt challenge to Nexus 6, which has Snapdragon 805 Quad-Core w/Adreno 420 processor, Android 5.0 operating system, 5.96-inch display, a resolution of 2,560 x 1,440, and pixel density of 493 pixels per inch, along with 32 GB/64 GB storage options. Based on the 2014 Moto X, Nexus 6 has a 5.96-inch screen with a curved back, large camera lens, and circular LED ring flash. The iPhone 6 has curved corners, the chassis made out of metal, and has a sleek overall appearance. Nexus 6 has stereo front-facing speakers and has a contoured aluminium frame, but the back is plastic and comes in either “Midnight Blue” or “Cloud White.” The iPhone 6’s smooth, seamless design and surprising thinness and less weight make it the ideal size and weight for most people. By contrast, the Nexus 6 is heavier at 184 g, while iPhone is just 129 g.
The Nexus 6 has a resolution of 2,560 x 1,440 and uses the AMOLED screen technology. The touchless controls and “always-on” listening are additional features. The iPhone 6 introduces a Retina HD LCD, which means that its pixel density is over 300 ppi. The screen resolution comes at 1,334 x 750 pixels. Google’s Nexus 6 comes with a 2 K display that measures nearly six inches. It’s the largest Nexus smartphone screen ever. Nexus 6’s main camera has a 13 Mp sensor, an f/2.0 aperture, and can shoot 4 K video at 30fps. The iPhone 6 has an 8 Mp camera with an f/2.2 aperture and can shoot 1080 p video at 30fps or 60fps. It can also shoot slo-mo video at 240fps or 120fps. In the front, Nexus 6 has a 2 Mp HD ‘”video conferencing” camera, while the iPhone has a 1.2 Mp “FaceTime” camera that records video at 720 p.
Nexus 6 comes with a 3220 mAh battery, up almost 1000 mAh over the Nexus 5. The Nexus 6 can fast-charge six hours of use in 15 minutes using the included Turbo Charger. The iPhone 6 does not come with any sort of fast-charging capabilities. The iPhone 6 has 802.11ac Wi-Fi, NFC for paying with Apple Pay, Bluetooth 4.0, GPS, and a barometer for detecting changes in height. The Nexus 6 also has a barometer, GPS, 802.11ac wireless, Bluetooth 4.1, and NFC, which can be used on, for example, Android Beam and paying with Google Wallet. The iPhone 6’s iOS 8 software includes Reachability, an option that enables the use of the phone with one hand easily. Nexus 6’s Android 5.0 Lollipop does not include the feature. 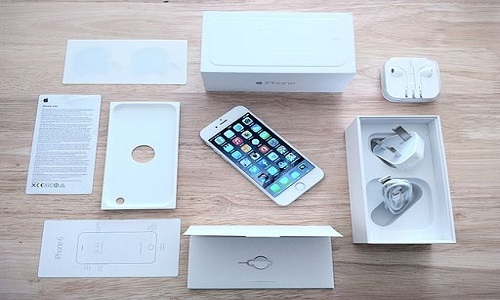 The iPhone 6 comes with Touch ID, which is a fingerprint sensor that can unlock the phone and make purchases. The Nexus 6 does not include a fingerprint reader. But the Nexus 6 knows when it is connected to a trusted device like a smart watch or a Bluetooth headset. The iPhone 6 supports Apple Pay. The Nexus 6 supports Google Wallet. There is an option on Android 5.0 for the Nexus 6 to set up another profile on the phone so that a child, for example, cannot use all of your apps and access your email and contacts. This option is missing in the iPhone 6. The iPhone 6 is not water-resistant; the Nexus 6 is. The Nexus 6 includes wireless charging with a Qi charger. The iPhone 6 requires a lightning cable to charge. Vyas Sivanand. "Ten Differences Between an iPhone 6 and a Nexus 6." DifferenceBetween.net. September 1, 2015 < http://www.differencebetween.net/object/gadgets-object/ten-differences-between-an-iphone-6-and-a-nexus-6/ >.